The early spelling for this parish is Plunent, which translates as the “Parish of St Nunit; plu names being much more common in Brittany. This, in conjunction with the large, finely carved pre. 1066 preaching cross, now seen on the north aisle wall, suggests this church site was an important one in the early medieval period. By the late medieval period the church was a pilgrimage site housing the tomb of St Juncus (probably a corrupt rendering of Nunit, the titular male saint). The present church sits within an oval enclosure which may have started out as an Iron Age settlement site. The old churchyard is still surrounded by a road that could once have been the enclosure ditch. The west tower, which contains six bells, was probably erected in the 15th century and, before the Reformation, the north transept was replaced by the present north aisle. This aisle now has an arcade of Tuscan columns of late 17th or early 18th century date (the time of Bishop Trelawny, see below). 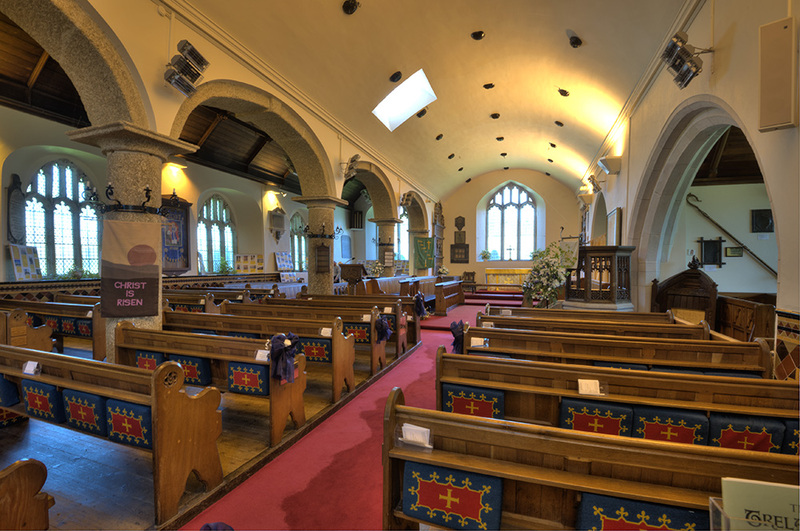 Today the church consists of a nave, chancel, north aisle, south transept with vestry aisle attached, and a west tower and south porch. 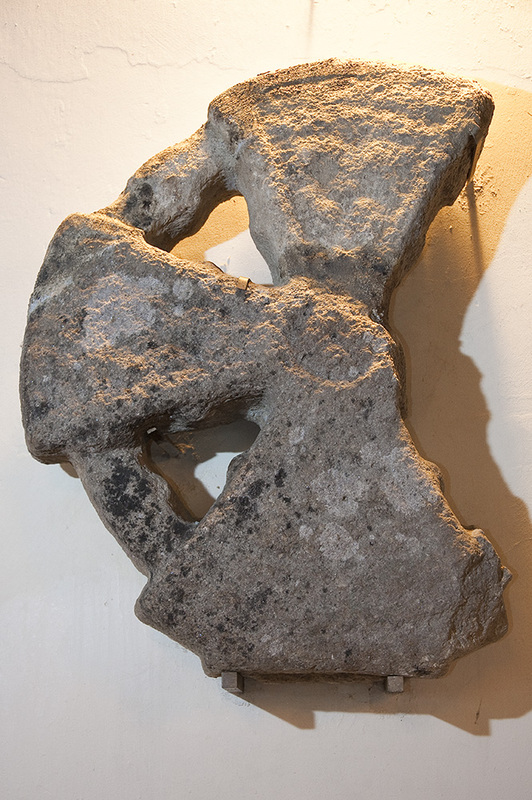 The church contains some good slate monuments dating from the 17th and 18th centuries and also has the crook that was carried in the funeral procession for Bishop Sir Jonathan Trelawny who was baptised and is buried within the church. 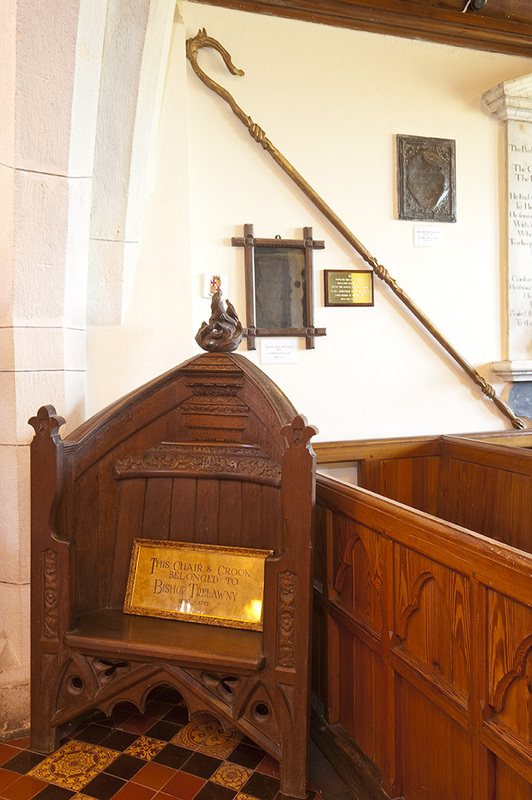 He is remembered in the words of the song ‘Trelawny’ which has been adopted as the unofficial anthem of Cornwall.Of the monuments, the largest (in the chancel) is in memory of Francis Buller who died in 1615. He and his wife are depicted kneeling with their 4 sons and 8 daughters. 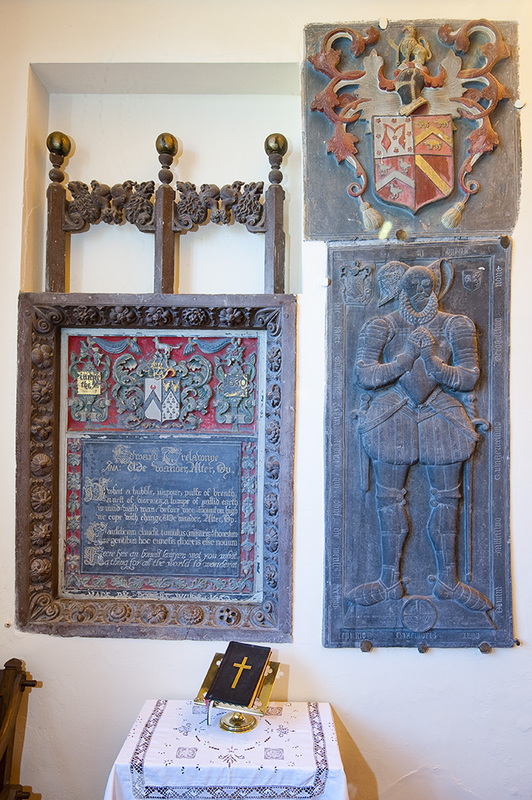 Also in the chancel can be seen an interesting plaque to the memory of Edward Trelawny of Bake, who is described as ‘an honest lawyer’. He died in 1630. 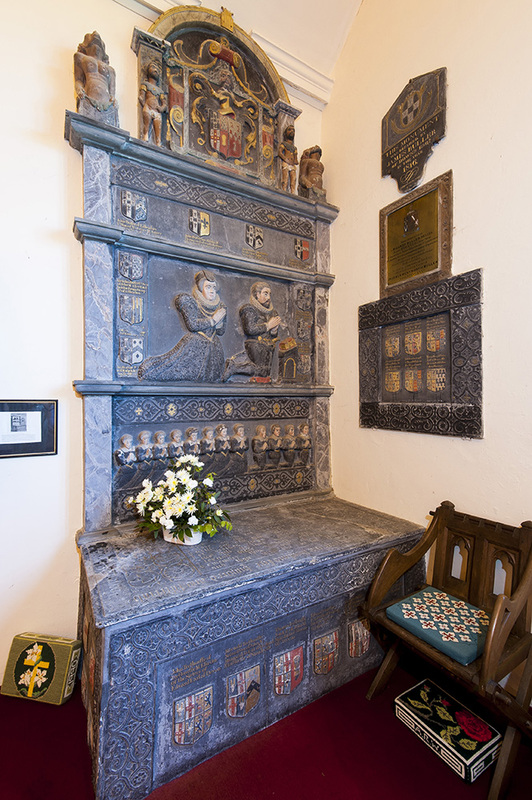 Next to his memorial can be seen the effigy of William Achym 1589. It is said he died of a stroke, hence his crooked smile. Originally his monument was in the south transept but was moved when the Trelawny family took over that area of the church. Now known as the Trelawny aisle, the south transept contains several monuments to members of the family who are buried in the vault beneath. 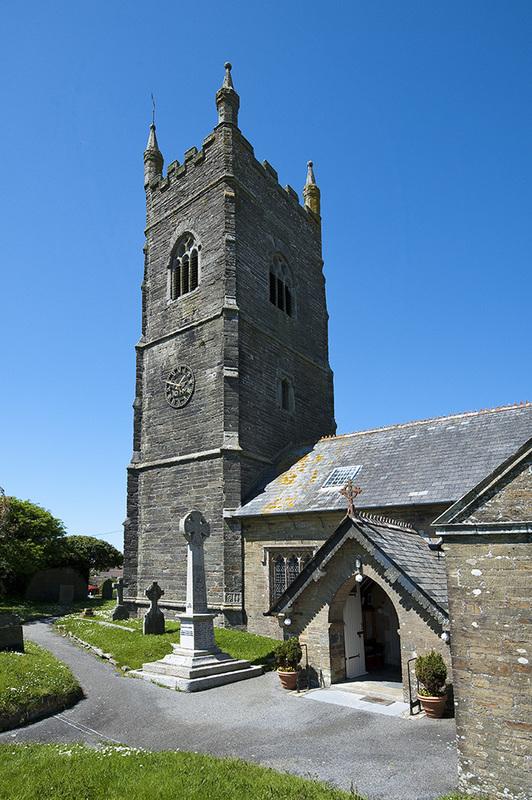 Pelynt church is open every day between 10am and 4pm (sometimes longer in summer). There is an historical exhibition (which changes every year) displayed within the church between Easter and November.